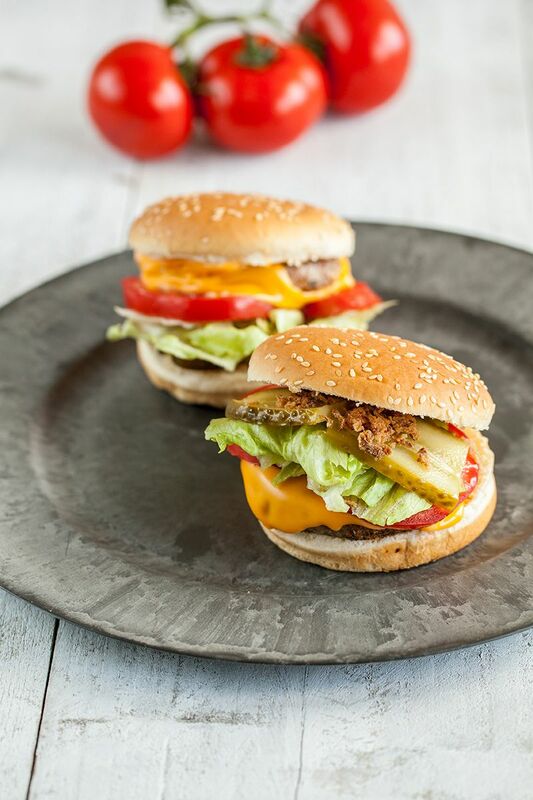 Making a classic cheeseburger couldn’t be easier! All you have to do is wash the tomatoes, then cut them into slices. Grab the red onions and slice them too. Wash the iceberg lettuce and dry with a salad dryer or by hand. Pre-heat your oven to 170 degrees celsius ( 428 fahrenheit). Grab the grill pan and put on high heat on top of the stove. Add some olive oil or butter (we prefer olive oil) to the pan and add in the burgers. Grill the burgers until golden brown. Flip them over a few times, but not too many otherwise the burger will fall apart and/or burn. 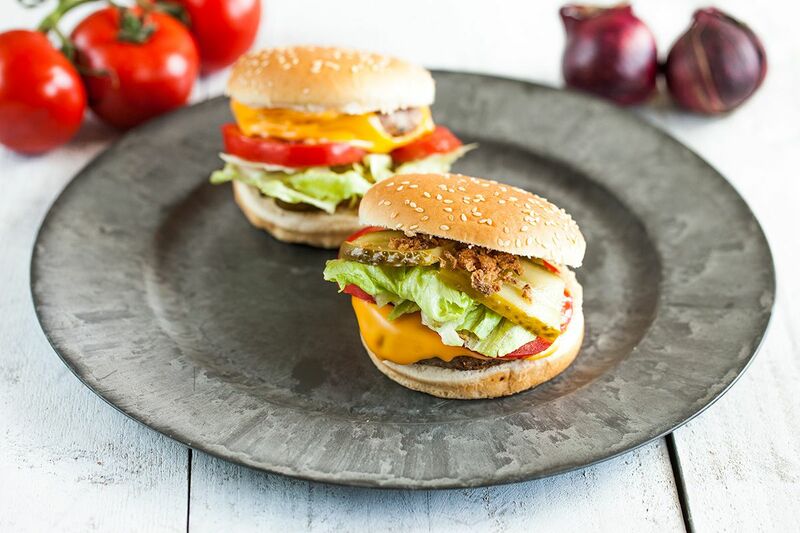 Remove burgers from the grill pan and put on a plate. Add cheese on top of the burgers and place into the pre-heated oven for about 5 minutes. This will make the cheese melt more evenly, alternatively you can add the cheese while the burgers are still in the grilling pan. This can make the cheese burn more easy, but it’s up to you! Cut the burger buns into two parts, you can toast the buns if you prefer. Add mayonnaise and/or ketchup to the bun. 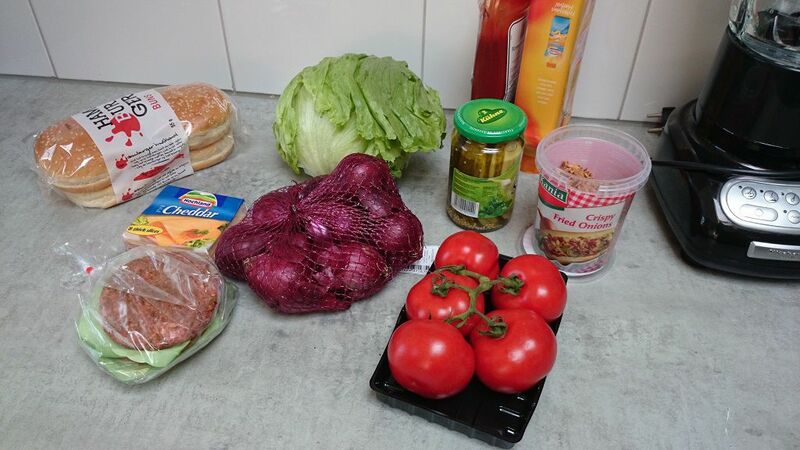 Add the hot burger, then tomato slices, lettuce, red onion, pickles and crispy fried onions. Add some more sauce if you like. Enjoy!